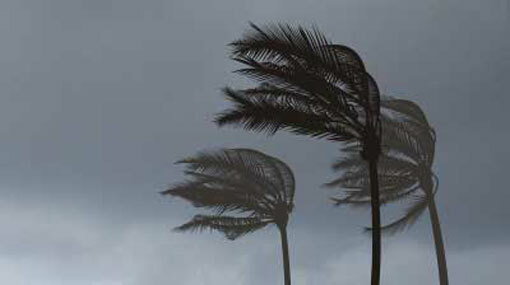 The windy condition is expected to strengthen to some extent over the island (particularly in Eastern, Uva Western and North-western provinces and in Hambantota and Mannar districts) and surrounding sea areas in next few days, the Department of Meteorology stated. Showers or thundershowers will occur at times in Uva and Central provinces and in Batticaloa and Ampara districts. Several spells of light showers will occur in Polonnaruwa and Hambantota districts. Showers or thundershowers will occur at several places in Sabaragamuwa province and in Galle, Matara and Kalutara districts after 2.00 p.m. Fairly heavy showers about 75mm can be expected at some places in Uva province and in Batticaloa and Ratnapura districts. Fairly strong gusty winds up to 40 kmph can be expected over North-western, Eastern and Western provinces and in Hambantota and Monaragala districts. Windy condition is expected to strengthen to some extent over the Western, North-western, Eastern and South-eastern sea areas of the island in the next few days (from today night). Showers or thundershowers will occur at several places in the sea areas off the coast extending from Hambantota to Trincomalee via Batticaloa. Heavy showers can be expected at some places in above sea areas. Showers or thundershowers may occur at few places in the sea area off the coast extending from Kalutara to Matara via Galle in the evening or night. The sea areas off the coast extending from Mannar to Balapitiya via Puttalam and Colombo, and the sea area off the coast extending from Hambantota to Batticaloa can be fairly rough at times as the wind speed can increase up to 50 kmph at times.